Viral Tassel Girl's husband is the ultimate supportive, #1 fan, proudest husband ever! Sino bang hindi naka-relate kay ate na kumakanta ng S2pid Love at Kabet with lvl 999999 feelings and emotions. Meet Kat Galang, a mother to baby Kamie and a wife to Jal Galang. She recently went viral after posting a video of her singing these two rap songs for the broken-hearted with intense emotions and legit crying. 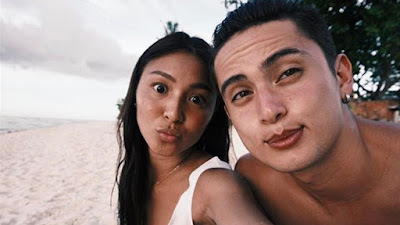 But her husband's response to her sudden popularity will surely make us "kilig"! So sino mas swerte? Si Kat or si Jal?